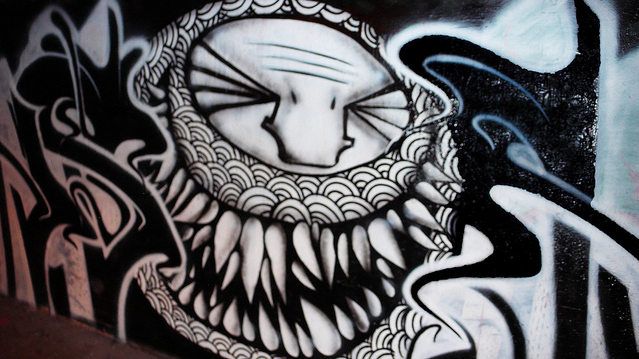 Darbotz is an Indonesian based street artist whose art reflects the chaos of daily life in Jakarta. With the music of Wu Tang Clan, NWA, and A Tribe Called Quest as his inspiration, Darbotz created his most well known character: the cumi (squid). The squid represents his response to the tough demands of existence in the world’s twelfth largest city. Darbotz has collaborated with companies like Nike, Google Chrome and Density, among others.